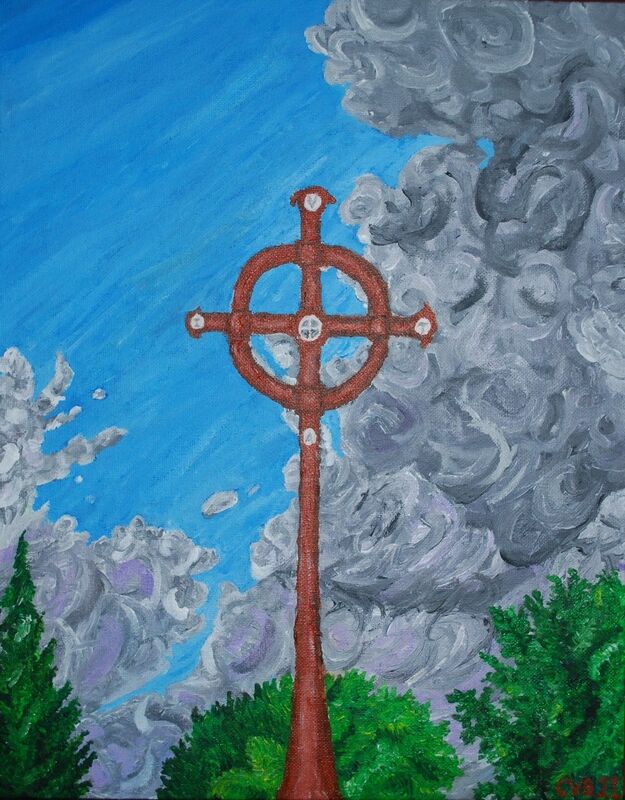 Painting: "This Is The Day The Lord Hath Made"
This painting was done partly as a result to a challenge. One of my friends told me to paint what image came to mind with the Paschal hymn "This is the Day the Lord hath Made; let us rejoice and be glad in it!" 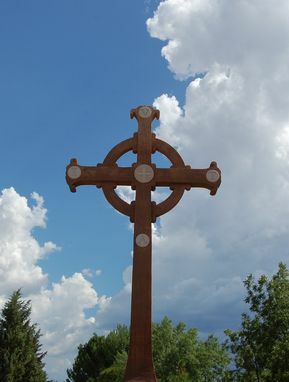 I had just the photo; a monsoon thunderstorm in southern Arizona being split in two by wind behind a Catholic style cross, near St. David's, Arizona. And so here it is. I tried to emphasize the power of the Cross over darkness and turmoil, symbolized of course by the storm being split in two behind it.